There is nothing like a bowl of crispy pork belly over rice for lunch. 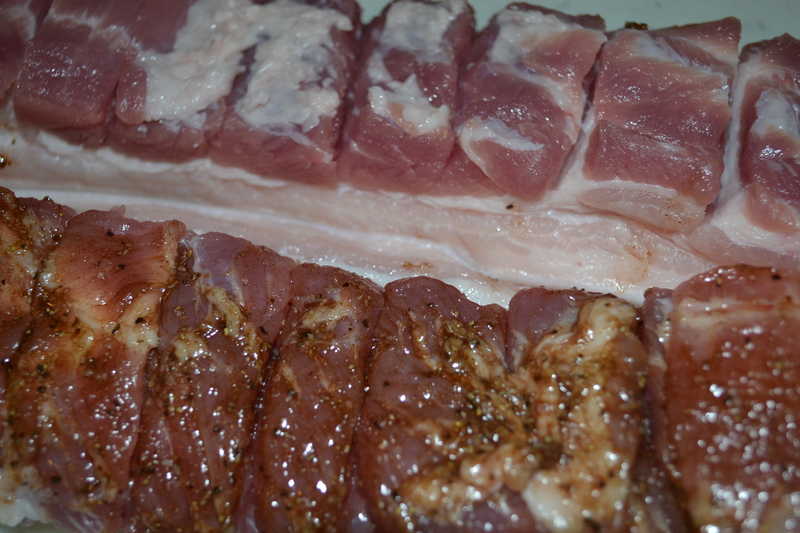 The pork is well seasoned in five spice powder, moist and tender while the skin is extra crispy. I served it over steamed rice and poached chinese bok choi. This is one of my favorite recipes, I made this dish yesterday and I already want to make more today. 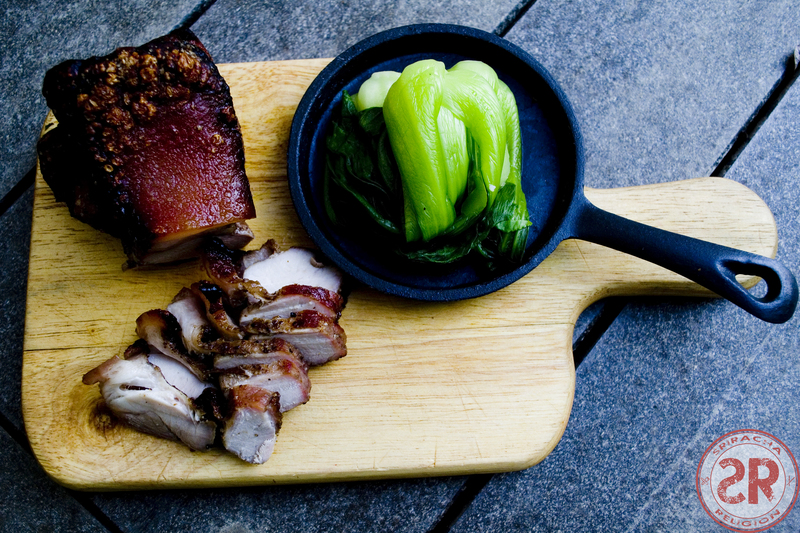 Making crispy pork belly is easier than you think. 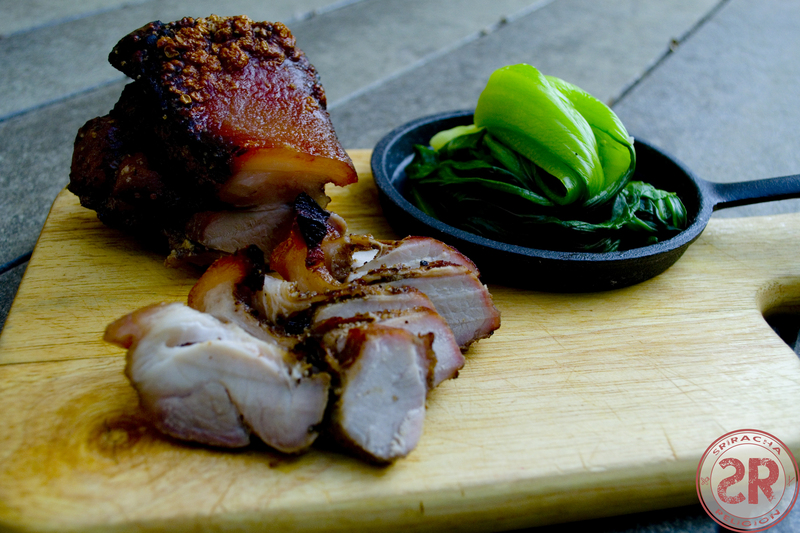 With this recipe, you’ll never have to buy roasted pork from Chinatown again. 1. 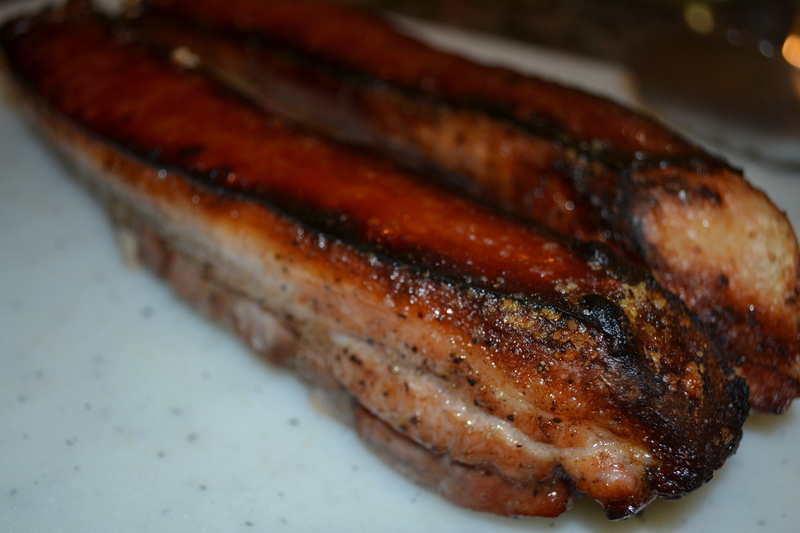 Clean the pork belly and pat dry with a paper towel. Then make a few scores on the meat side, about 2 cm deep, to help marinate the meat. 2. Mix 1 tsp of salt, add the sugar, five-spice powder, hoisin, and pepper into a paste. 3. Rub the paste onto the meat on all sides except the skin side. Try to keep the skin as dry as possible. 4. Mix the vinegar and the remaining 2 tbsp of salt until the salt dissolves. 5. Use your hands, or a grilling brush, and distribute the salt and vinegar mixture over the skin side of the meat. Reserve the excess salt and vinegar mixture, as you will use it again. 6. Cover the meat and let marinate in fridge for between 5 to 12 hours. 7. When ready, bake the meat on a baking tray lined with aluminum foil. Bake at 400 degrees with skin side down for 20 minutes. 8. 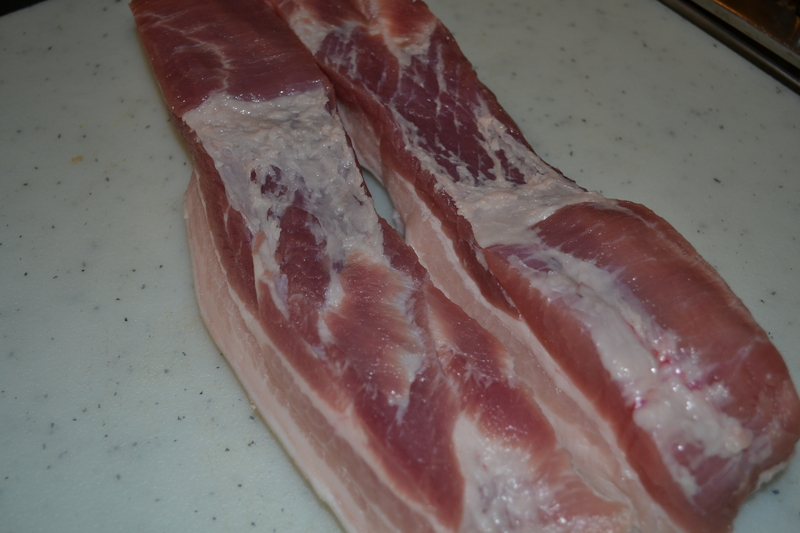 After 20 minutes, remove the meat and clean the skin very dry again with a paper towel. Rub more salt and vinegar mixture on the skin only. Place back into the oven, this time with the skin side up, and bake for another 20 minutes. 9. After 20 minutes, remove the meat for the second time. Once again, dry the skin very dry and rub more salt and vinegar mixture. Return the meat to the over with the skin side up. Bake for one final 20 minutes. 10. It is done! Let the meat rest for a few minutes before serve.